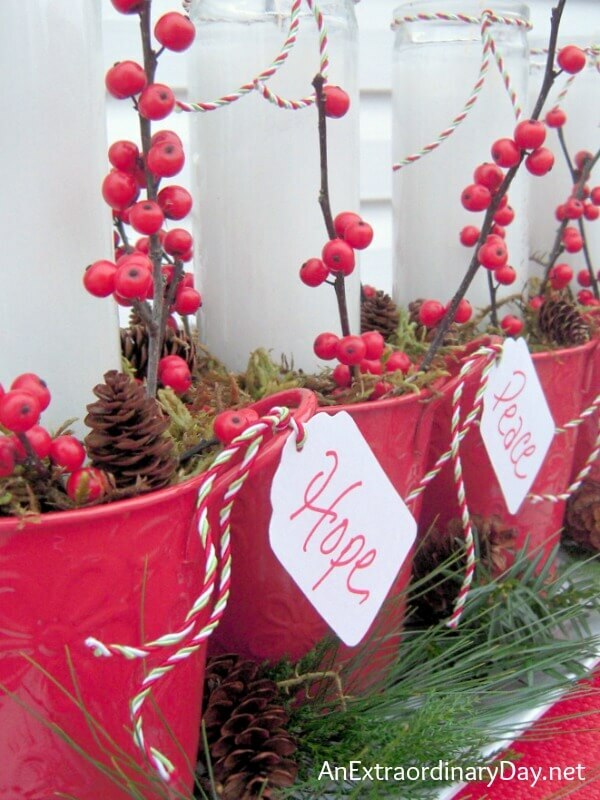 Wouldn’t you love to approach Christmas with a sense of peace and purpose and less craziness? In the midst of the festivities, busyness, and sensory overload, you really can discover peace and purpose this Christmas. I’ve discovered that when I plan to focus on Christ’s coming and Advent… the season leading up to Christmas where we intentionally remember what it was like for people thousands of years ago to anticipate the coming of Christ… my joy and delight in Christmas and God’s GIFT to us gives me much peace and purpose in spite of all the craziness of the world around me. 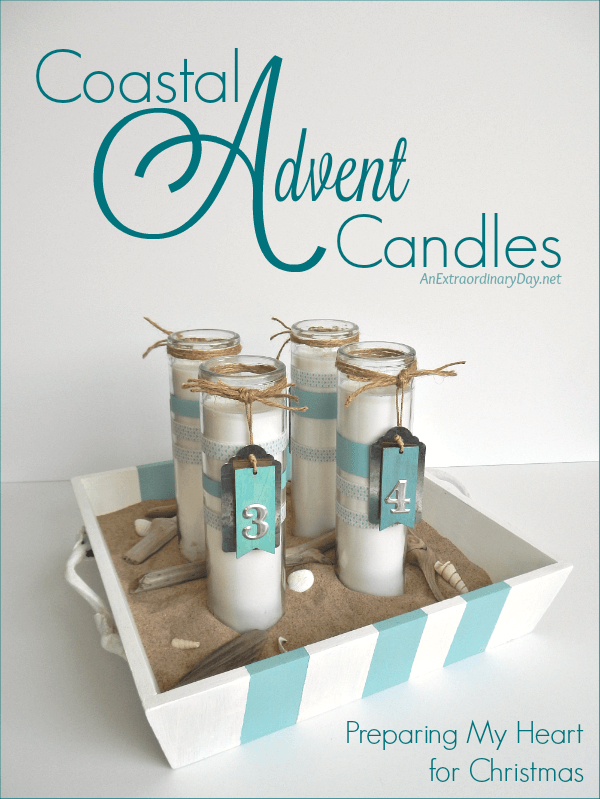 Advent always begins on the fourth Sunday prior to Christmas Day, and this year, that is Sunday, November 27. 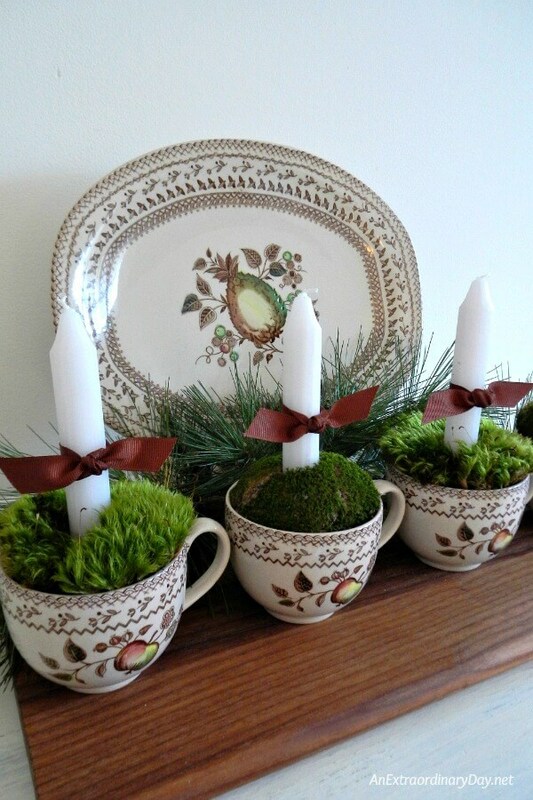 Each Advent, I also try to create some sort of advent wreath with candles. It’s not imperative that you do that, but there is something special about the candle lighting that adds a lovely ritual to this time of meditation and soulful reflection. 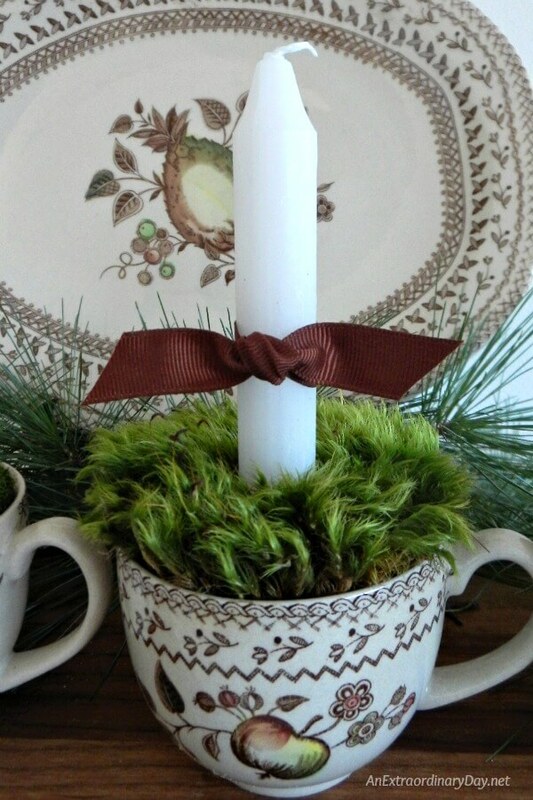 With my limited budget, I was so excited to create this year’s Advent candle “wreath” for nearly free. It makes my heart so very happy. 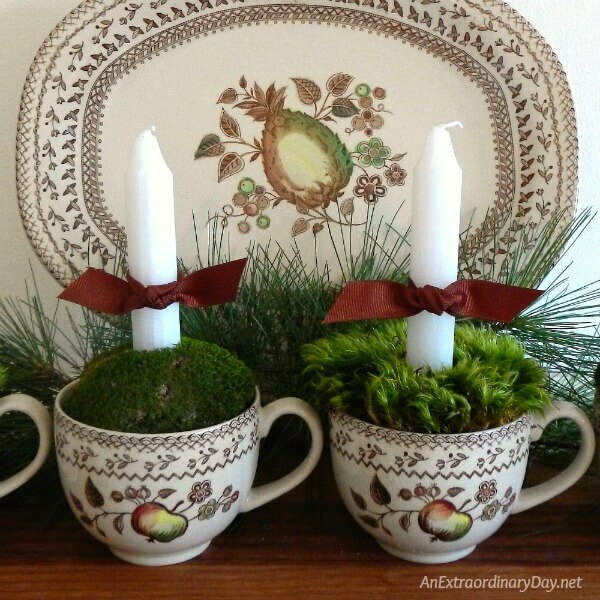 You might remember the pretty vintage dishes I received as a birthday gift and later used in a lovely fall outdoor tablescape. I am crazy about the little tea cups but rarely use them as I have two mugs that also go with the set because they hold a little bit more. 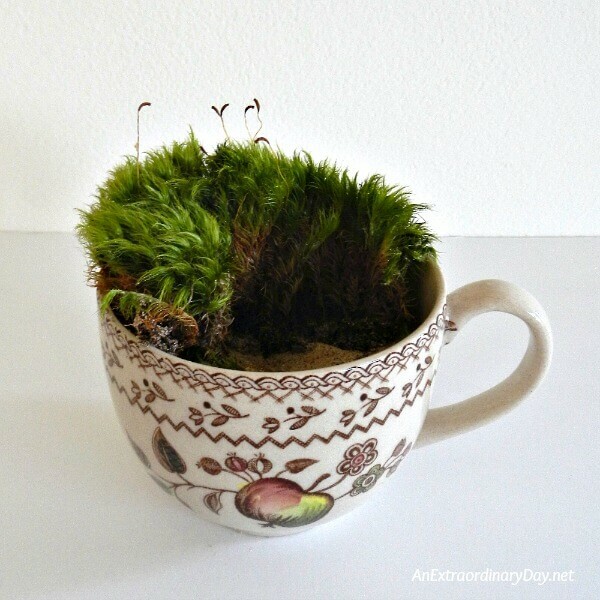 Fill your cups with sand, adjusting for the height of the moss. 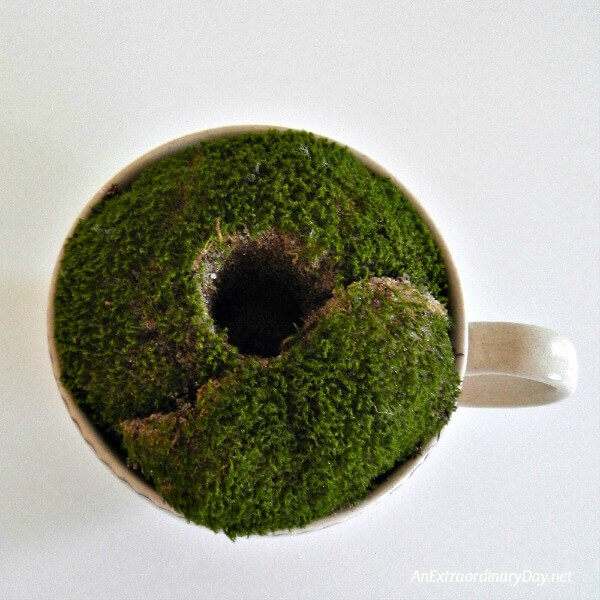 Trim moss and snug it into the cup. You may need multiple pieces to fill the cup. 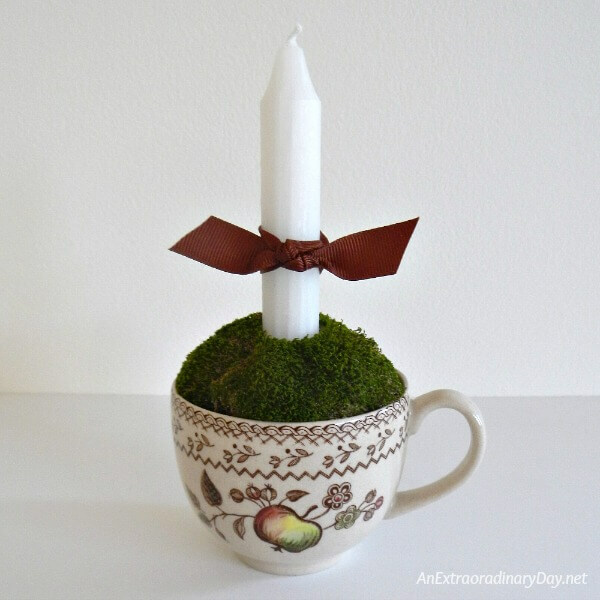 Using a small pointed knife, trim a hole in the middle of the moss for your candle. Tie and knot a piece of ribbon around the candle. 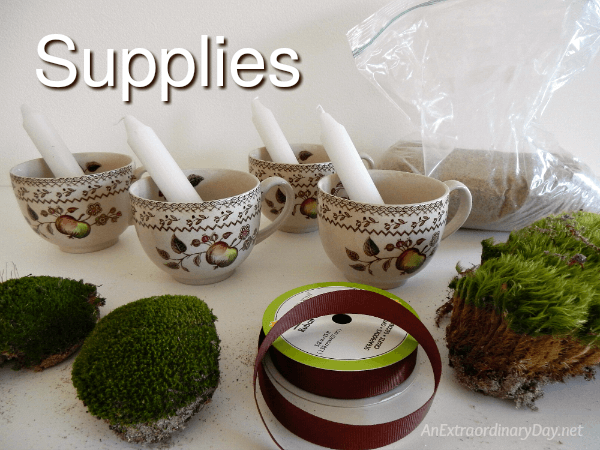 Insert the candle in the prepared hole in the moss. 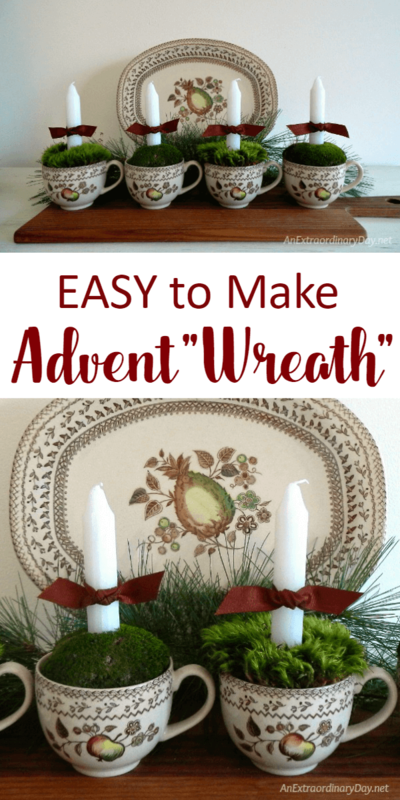 Line up your Advent candles on a long breadboard. There are many ways to observe Advent through readings and mediation. Last year, I shared a brief devotional each morning on my Facebook page and intend to do the same this year. I’d love to have you join me there each day. Look for it by 9 AM ET. You may like to sign up for an email devotional… Advent devotional/reading from Bible Gateway HERE. *Affiliate links… I may receive a small percentage of your purchases through these links which support my work here at AED. Thank you! Whatever works best for you and your family… do it! 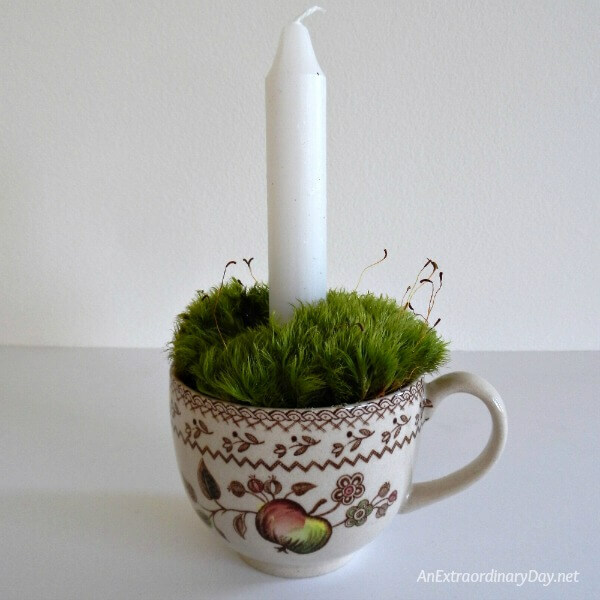 Don’t miss observing Advent, either through guided candle lighting, reading, or both. I can say from experience that it truly brings peace and purpose to Christmas. 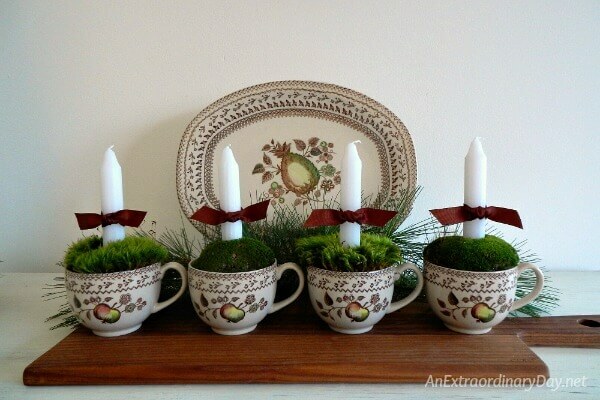 Do you have a Christmas/Advent tradition or special memory to share?